Hanoi (VNA) - Local electronic firms have been urged to enhance compliance with established regulations, especially international labour standards, in order to improve competitiveness and to engage in the global supply chain, heard a conference on August 1. The conference was jointly held by the Vietnam Chamber of Commerce and Industry (VCCI) and the International Labour Organisation to promote law compliance across the electronics sector supply chain. The VCCI said that multinational groups and electronics suppliers must co-operate and exchange experiences to promote application of international labour standards at local firms. The VCCI promised to develop support programmes with aims to improve productivity, reduce risks which might arise from labour disputes and enhance businesses’ reputations. Specially, Vietnam must create policies that promote the development of the electronics industry into a spearhead sector of the economy. Electronics were major export products of Vietnam which earned revenue of 18.96 billion USD in 2016, representing a rise of 21.5 percent over the previous year. Latest updates from the General Statistics Office show that exports of electronic products reached 13.6 billion USD in the first seven months of this year, rising by 43.3 percent over the same period last year. Major import markets include the US, EU and China. 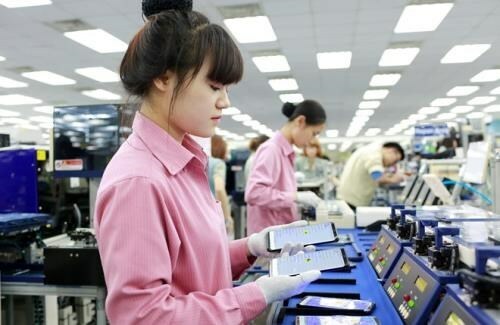 Experts, however, say that the Vietnamese electronics industry is largely dependent on foreign-invested firms, while the cooperation between local and foreign firms remains loose.